Does GoldSilver Accept Bitcoin as Payment? Yes, we're proud to offer all customers the ability to buy physical gold and silver with bitcoin. Step 1: Shop! Add whatever you want to your cart, as much as you want. Log into your Bitcoin wallet app and open it to the payment submission page. 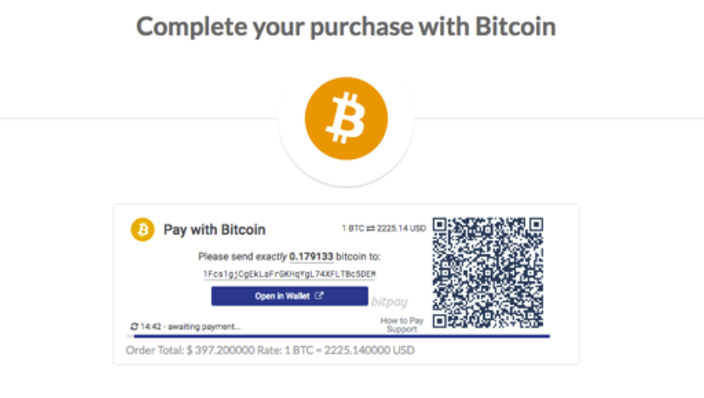 Or use your Bitcoin phone app to open the invoice by capturing the QR code with your camera. Then click to pay. You have 15 minutes to pay your invoice. Note that your order can be in a “pending” status for as long as one business day. That’s because payments need to pass through several Bitcoin “blocks” for approval. The verification process varies by dealer, but don’t fret if it takes as long as 24 hours for your payment confirmation to arrive. Even though it’s not instantaneous, Bitcoin is still the quickest form of payment. GoldSilver currently offers bitcoin customers a 3% discount to the credit card charge, which is 1% over the “cash” price. 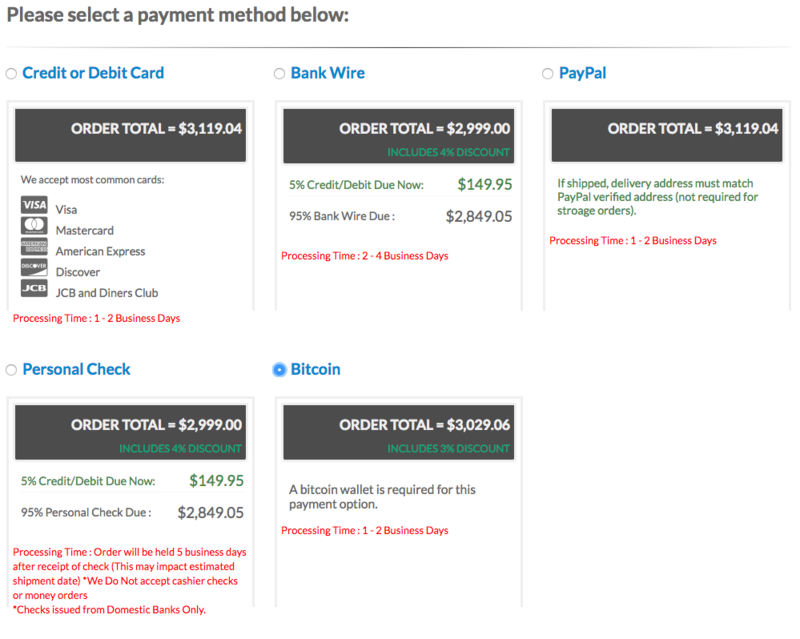 Don’t forget that Bitcoin charges a transaction fee, too, though it is usually small. GoldSilver currently accepts bitcoin transactions up to $100,000 per day, and a total of $1 million per customer, per year. As the Bitcoin system improves, these limits will be expanded. If you need help with your Bitcoin transaction just give us a call at 1-888-319-8166 (US and Canada; international 001-310-566-6655). Otherwise, happy shopping!